I came across a deodorant ad in a magazine the other day. It featured a bear in the wild, with the warning: How to manage a BEAR encounter. Apparently bears have sensitive noses, so according to the ad, you should not wear strong perfumes, and you should protect your fine self from odor and sweat when out in bear-land. As if wearing a deodorant would keep a hungry bear from sniffing you out. Pul-eeze! Even ad agencies are praying on our inane fear of bears. When I was a little kid I was terrified of bears. I have no idea why, but the idea of bears in the woods, scared the hell out of me. I lived in Oregon and we camped in a tent out in the woods very often (in the rain! But that's another story). There were many times when I'd be alone in the woods and I was always scared wit-less whenever I heard a twig break, or a wayward foot fall. Later, when I was a teenager we made a car trip from Oregon to Minnesota, just me and the folks. We camped along the way. I chose to sleep in the car rather than chance it that a bear might attack our tent. One night we stopped in a campground somewhere in Montana. I woke early the next morning, my folks were still asleep in the tent. I got out of the car and headed for the restroom. On the path right in front of me was, as I now know, a huge grizzly bear, standing on his hind legs staring right at me. At the time, I would have guessed that he was at least 12 feet tall. I screamed, turned and ran back to the car. Never forgot it! On the way home we drove through Yellowstone Park. Bears were everywhere along the road. There were lots of cars so we were driving very slowly, sometimes stopping. The bears, smallish black ones, as I recall, came right up to our cars to beg for food. I fed them marshmallows through the top inch of the car window. That bear encounter mitigated some of my fear, thank goodness. Now I have a soft spot in my heart for bears, they are endangered everywhere, mishandled, murdered and treated horribly all around the world. (See my article on Moon Bears.) For the fun of it, I googled bear attacks the other day and came up with the Wikipedia piece on bear attacks. 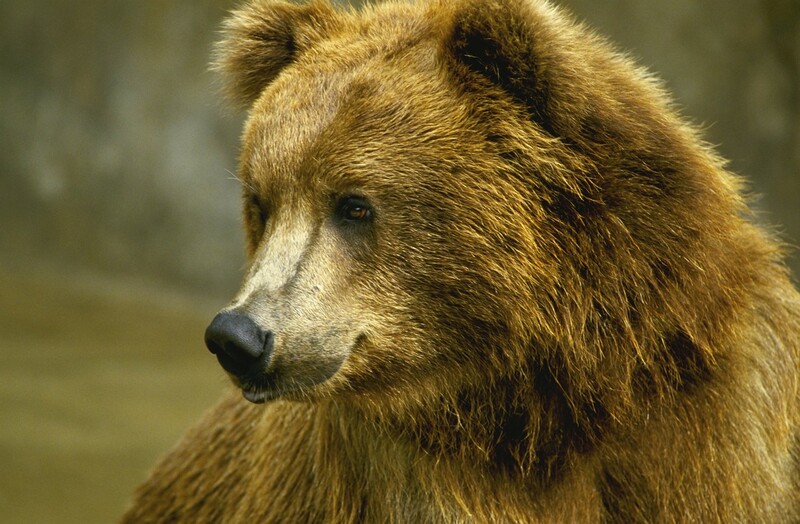 Between 1900 and 2003 there were 52 human deaths attributed to bear attacks. Compare that to the more than 300 people that are killed every year in domestic dog attacks. The stats on mountain lions are even worse, something like less than 20 people have been killed in the last 150 years by them, but we are still scared to death, both of bears and of mountain lions. What's going on here, folks? Bears need a more positive ad campaign, and some human kindness. It's time we started to appreciate wildlife, particularly bears.